The man confronts the stark existence of mankind. One stands on the wasted land of modernity. It reflects the scene where all was burned and destroyed by a larger power. How does this man find his way out of this labyrinth? Some have said the work has a prediction of the Fukushima disaster that attacked the country the following year. workshops worldwide. 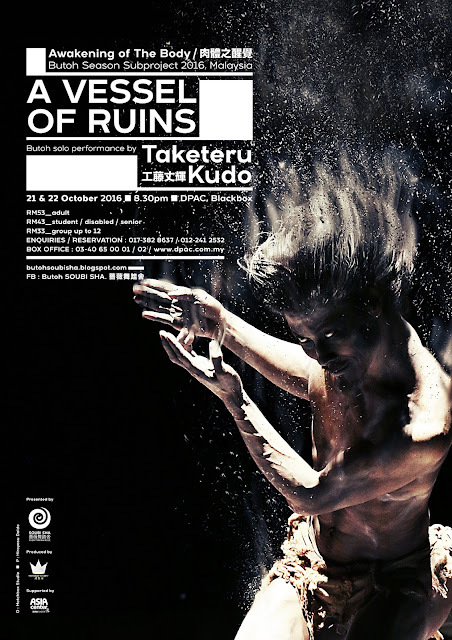 In 2005 he received a prize from Dance Critic Association Award for his solo work "Akimegusa". He also won a Golden Mask award in Russia for playing the main role of "Full Moon" in 2011-2013.